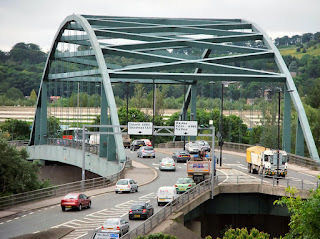 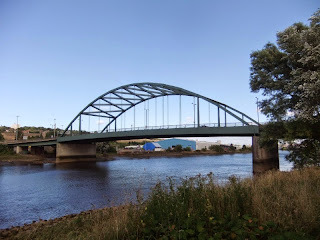 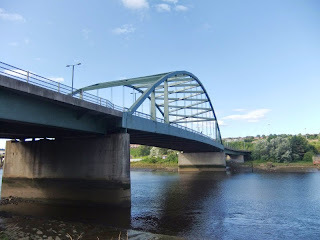 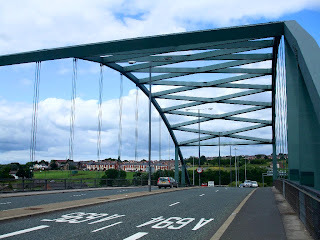 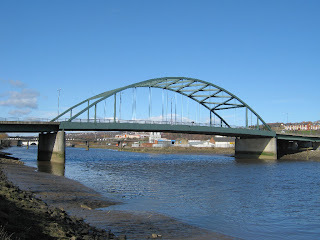 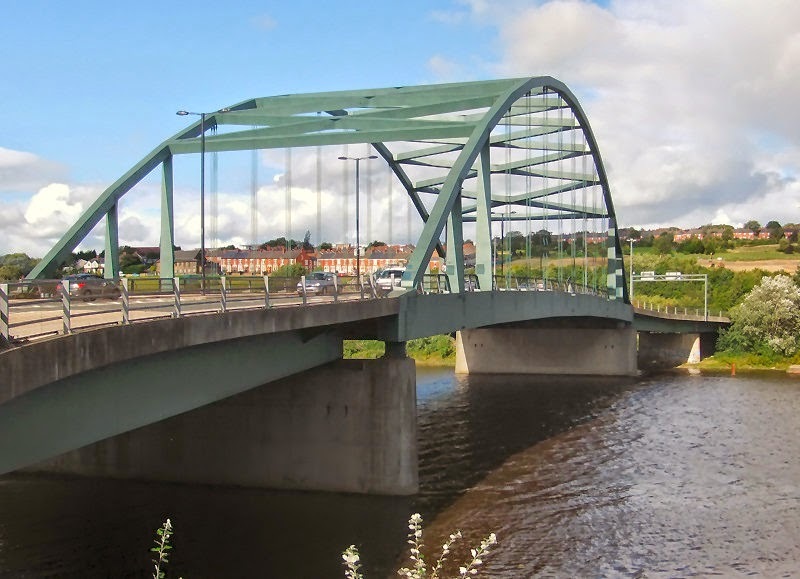 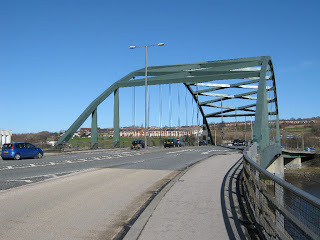 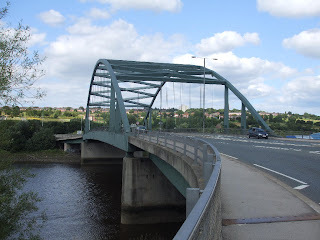 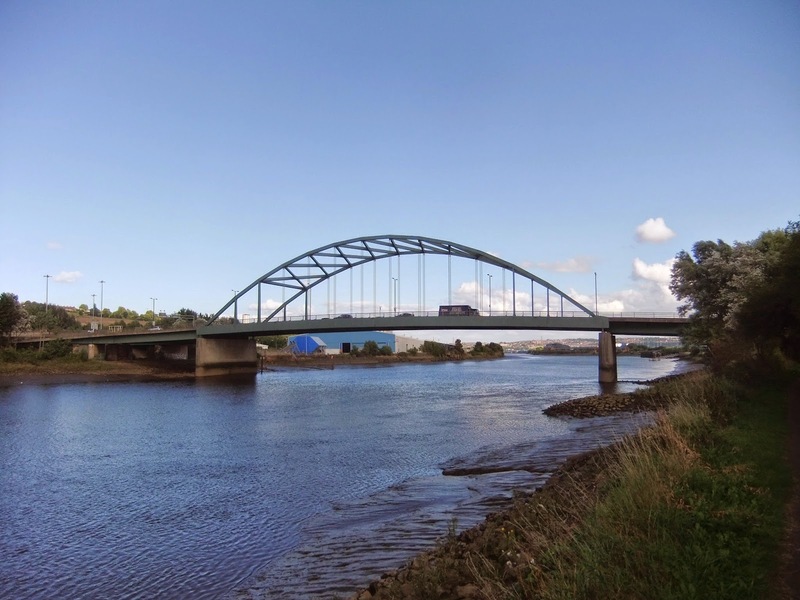 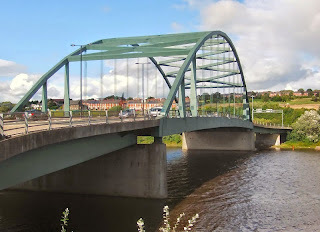 Scotswood Bridge is one of the main bridges crossing the River Tyne in North East England. 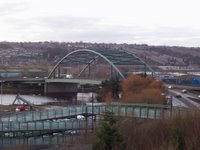 It links the west end of Newcastle upon Tyne on the north bank of the river with the MetroCentre and Blaydon on the south bank. 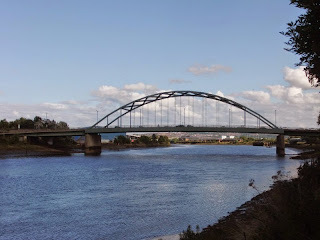 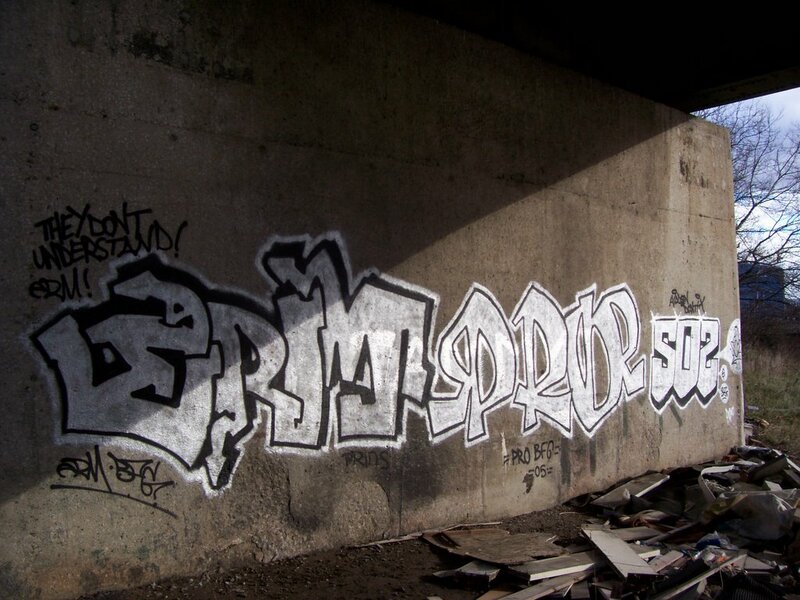 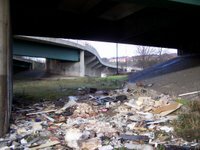 It is situated 5.2 km (3.2 mi) upstream of the better known city centre bridges. 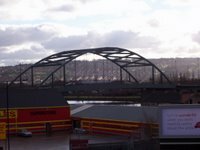 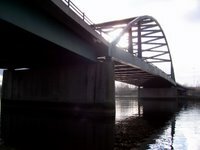 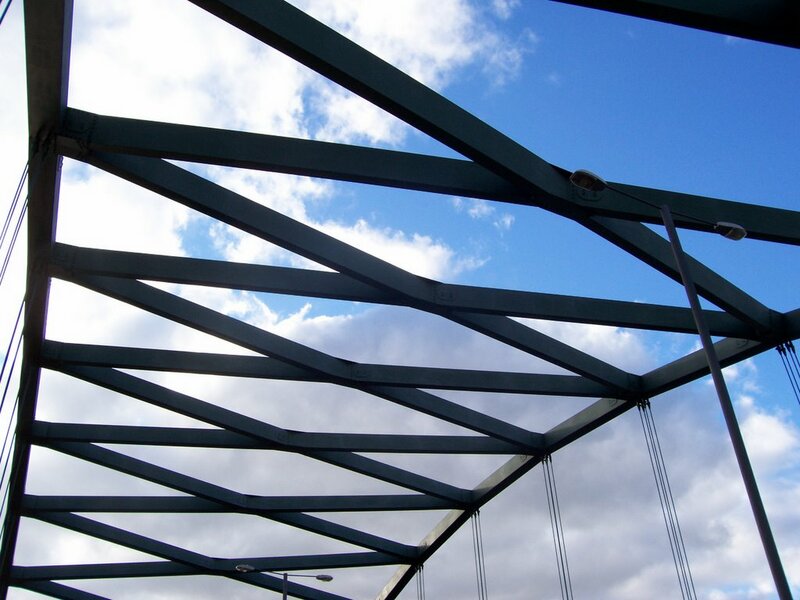 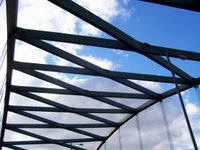 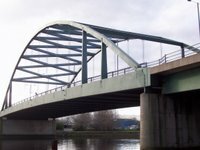 The bridge was designed by Mott, Hay and Anderson and built by Mitchell Construction and Dorman Long. Construction commenced on 18 September 1964. 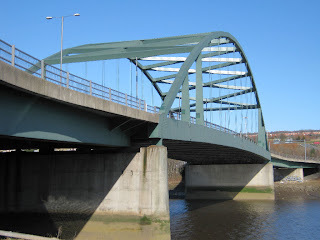 It was built slightly to the west of the Chain Bridge, which continued operating during the new bridge's construction. 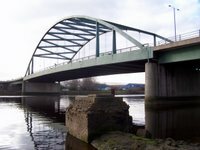 The bridge was opened on 20 March 1967. 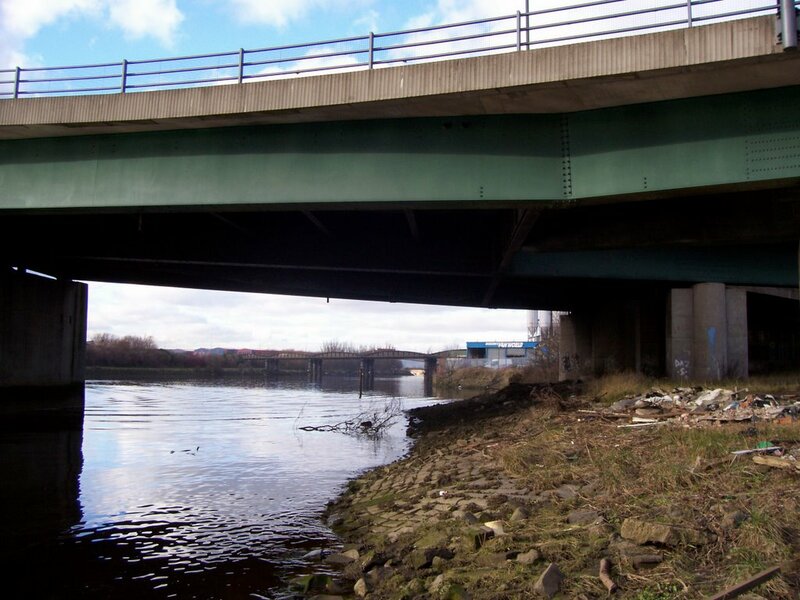 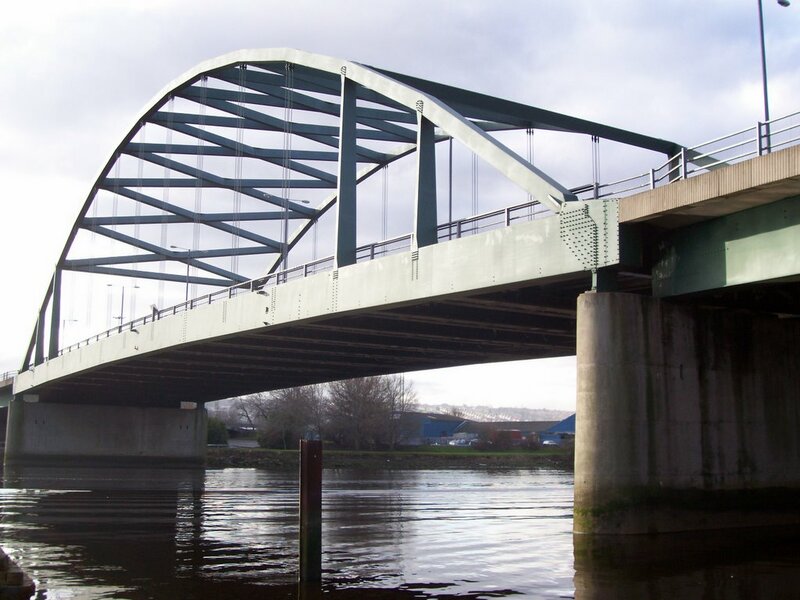 It is a box girder bridge, supported by two piers in the river and carries a dual carriageway road. 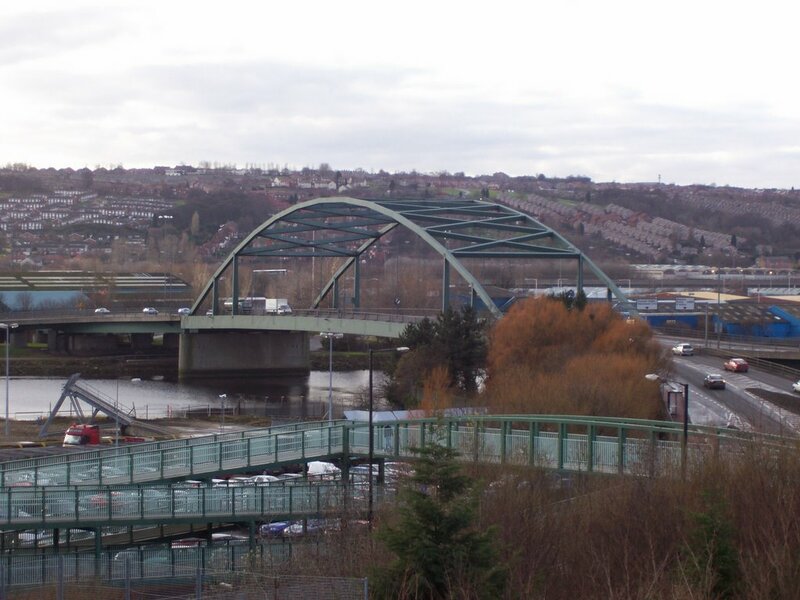 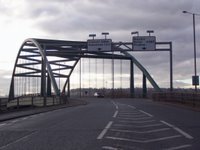 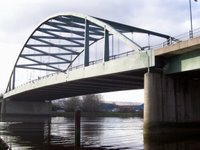 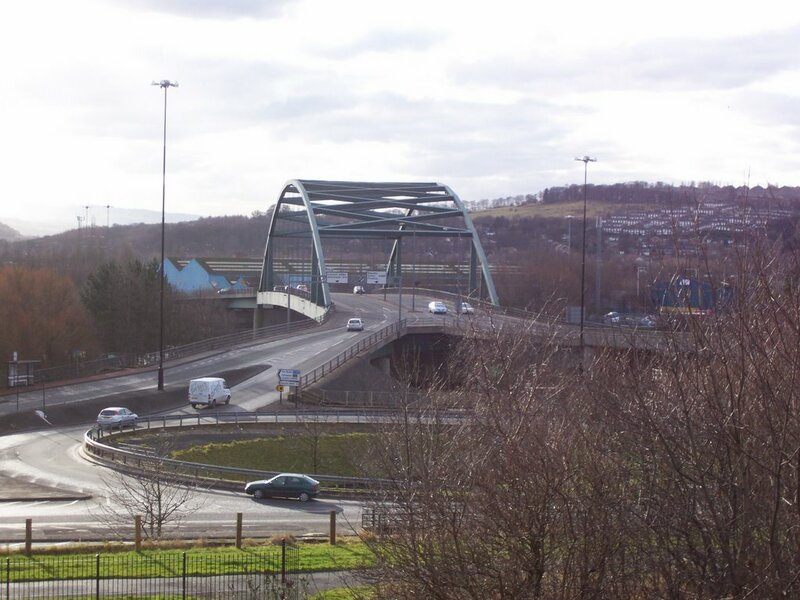 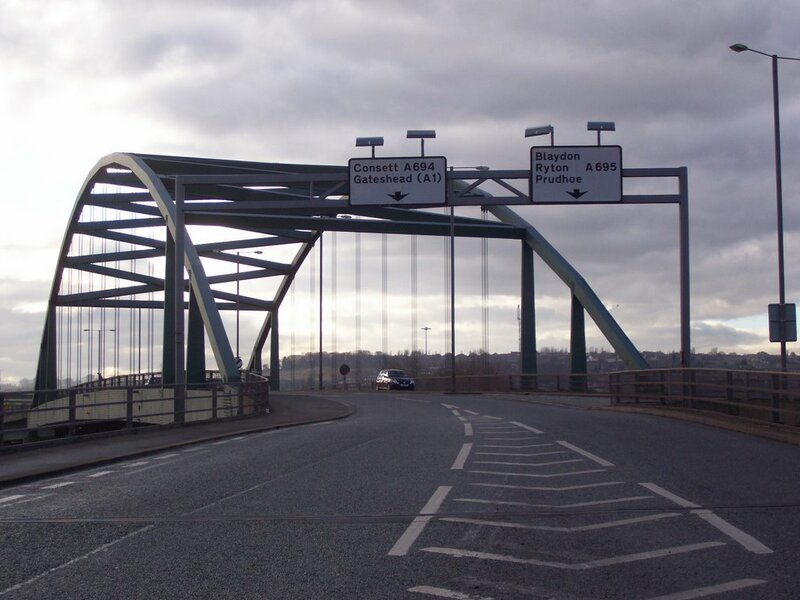 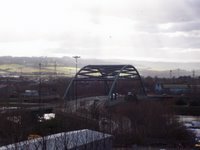 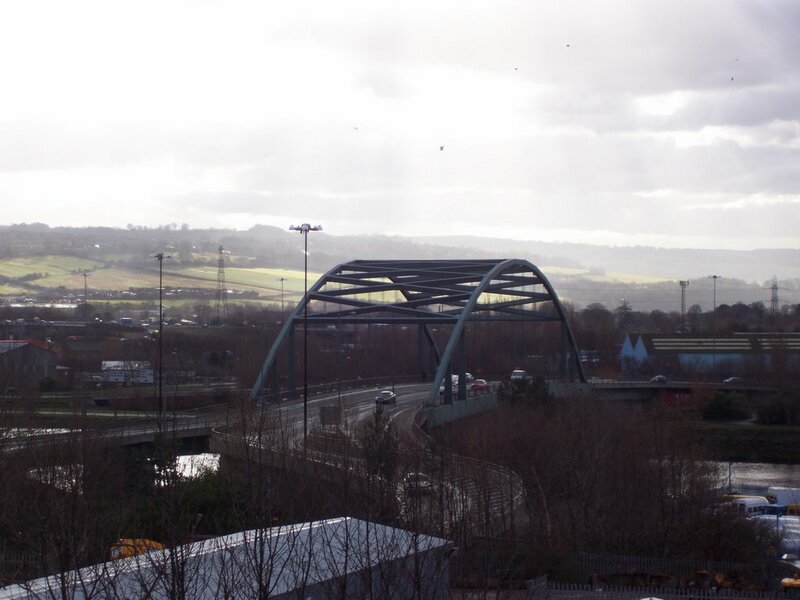 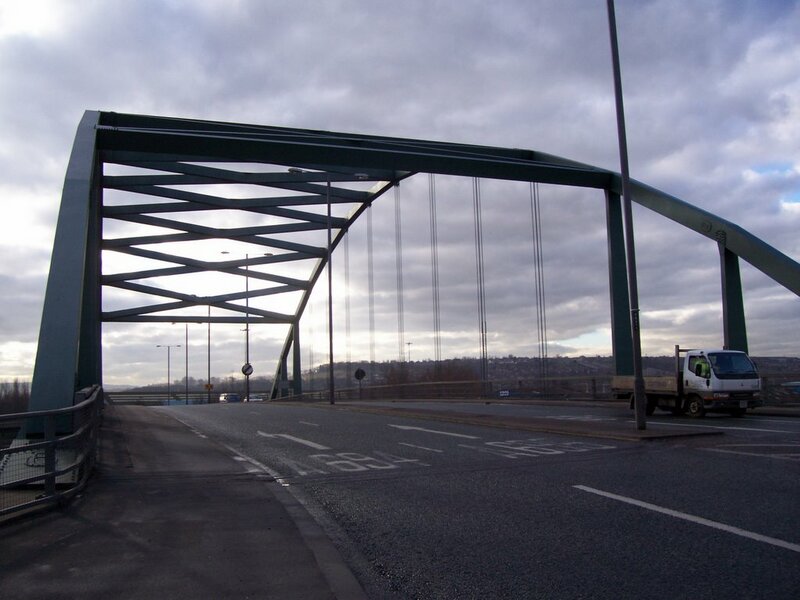 Scotswood Bridge carried the traffic of the Gateshead A1 western by-pass from 1970 up until the construction of Blaydon Bridge in 1990. 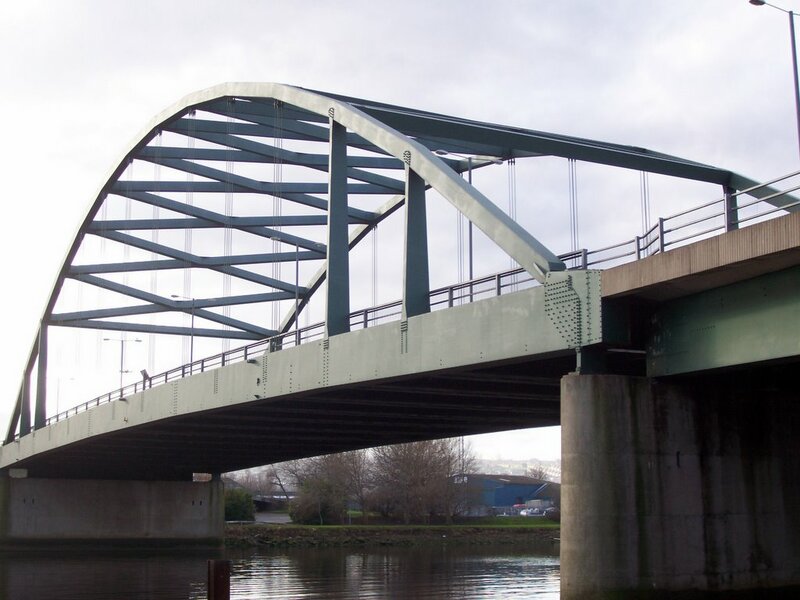 Between June 1971 and January 1974 traffic on the bridge was limited to single file to enable strengthening work to take place, which was needed to address design concerns. 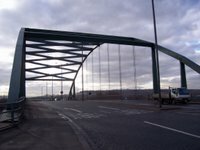 It has required further strengthening and repairs a number of times since; between 1979 and 1980, in 1983 and in 1990. 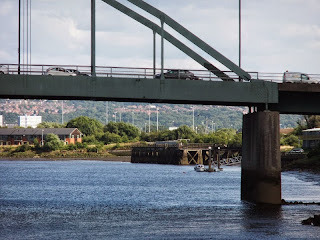 My school (the RGS) had a rowing club wuth a boathouse in Blaydon and I was a member from Sept 64 to Jul 67 so I witnessed the whole construction process at first hand. Twice a week for three years I crossed the Chain Bridge - on foot or by bike - then headed down the towpath. 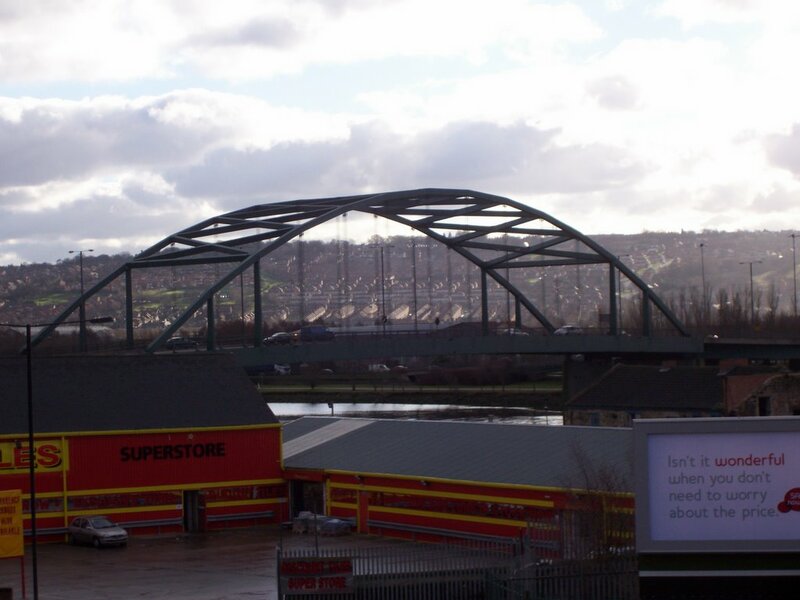 The boathouse was behind the3 big locomotive depot at Blaydon and would have been - as far as I can work out - directly beneath the motorway bridge.